Intervoice, along with representatives of the West Balkans Hearing Voices Network, has launched a crowdfunding appeal to contribute to essential training in May 2016. You can view this appeal here: http://igg.me/at/balkans-voices2016/x/8706476. This is an update prepared by the West Balkans Hearing Voices Network detailing what has been achieved so far – and why we’d like your help to ensure this work continues. 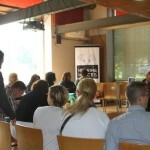 The West Balkan Hearing Voices Network needs your help in order to continue to support the local voice hearers in their efforts to recover and lead a full life in the community, change public attitudes and help humanize the psychiatric sistem in the region of ex-Yugoslavia (that is Serbia, Croatia, Bosnia and Herzegovina and Slovenia). In this proposal we will describe the situation and the needs of people who hear voices and are considered mentaly ill, as well as present the results we obtained until today. We need your support in order to continue with the trainings of voice hearers and professionals so this good practice can grow and continue to help people in need, with no humane alternatives and solutions to their problems. In the region of ex-Yugoslavia, mental health problems reppresent a burning issue. Taking in consideration the fact that the majority of this region was struck by war, poverty and isolation, it is not hard to believe that mental health problems are amongst first acording to the number of people suffering from them. The psychiatric system is still on a very low level of development, big, isolated asylums where hundreds of people spend their lives still exist, and medical model is still the predominant one. High dosages of farmaceutical drugs, no psychotherapy, forced hospitalisations, are only a few of many human rights violations to which these societies are disposing their vulnerable members. In the society, stigma and fear, prejudice and wrong attitudes and behaviours are everyday reality of psychiatric care users. They have been abandoned by their families and their surroundings and have no possiblity of integration into the community. Only a couple of years ago, the Mental health reforms started more or less at the same time in these ex-Yugoslavian countries (Bosnia and Herzegovina, Slovenia, Craotia and Serbia), decades after other parts of Europe. 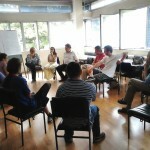 For the first time there is a serious and wide reaching process being undertaken to improve the services available to mental health care user, including the development of services and care centers in local communities, developed by a number of psychiatric institutions and Civil society organizations. The Hearing Voices movement came to the region in the right moment, bringing finally an alternative to strictly medical treatment of mental health problems. Two years ago, thanks to the enthusiasm of Slobodanka Popovic, systemic psychotherapist from the region who lives and works in the UK, the collaboration between local CSOs and institutions and the International Hearing Voices Network was established. ‘Hearing Voices’ is a generic term and, in this context, includes people who hear voices or have other unusual sensory perceptions, such as seeing visions or tactile sensations. Hearing Voices Peer Support Groups were inspired by the pioneering work of Professor Marius Romme and Dr Sandra Escher, and the Dutch mental health self-help group, Foundation Resonance, in the 1980s. Some of the main findings that inspired this work were that: only 1 in 3 people who hear voices are sufficiently distressed by them to end up in the psychiatric system; 70% of people who are distressed by voices can link their onset to traumatic events in their lives; in many cultures past and present, hearing voices is not seen as an unusual, problematic or stigmatizing issue at all. It is the distress characterized by negative voices, and the stigma and discrimination that come with being labeled as ‘mentally ill’ that are the problems; the content of voices can often have profound meaning for the person hearing them -even when that content is distressing or hard to cope with. If people can find ways of making sense of, and coping with, the voices they hear they can recover and lead a full life. 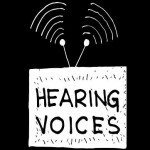 The Hearing Voices Network now exists in more than 30 countries in the world. Main activity is the development of the Hearing Voices self help groups, where people can share their unusual experiences and get support from their peers, be accepted for who they are and release the tension of fear and stigma that follows this taboo topic in the society. The second important activity is the trainings for mental health professionals, volunteers and supporters to start applying the Hearing Voices methods in their work and to support the development of the groups. 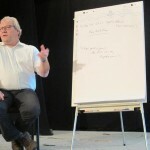 The first step in setting up the network in the region was to bring lecturers and experts-by-experience from established networks to provide training for professionals working in the field of mental health care (psychiatrists, psychologists and nurses), voice hearers (and other interested psychiatric care users), community supporters and volunteers. The trainings were held by Rachel Waddingham (English Hearing Voices Network / Mind in Camden) and Slobodanka Popovic (Systemic Psychotherapist) and Dirk Corstens (Chair of Intervoice). 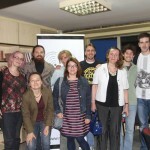 The first Hearing Voices Group in Ljubljana was launched in September 2015. 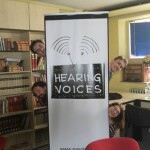 Development of different projects on hearing voices topics (translations of books, radio show etc). 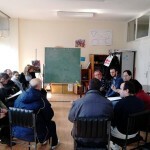 The first hearing voices self help group was launched in Belgrade in March 2015. The training program for professionals was accredited by the Regional Medical Chamber of Belgrade and around 50 professionals and 20 voice hearers participated throughout 2 years of trainings (2013-2015). The training for new facilitators was held in September 2015. Together with partners from the West Balkan Hearing Voices Network we translated Paul Baker’s book “The voice inside” in our languages. We published the brochure “Balkan voices – first steps” with support of the Australian embassy in Belgrade. So much has been accomplished in the few years we have been working with these groups – yet these initiatives are still in their early stages and need to be nurtured. We need to train more voice-hearers and professionals, and help to spread the word further into these countries to make a lasting difference.